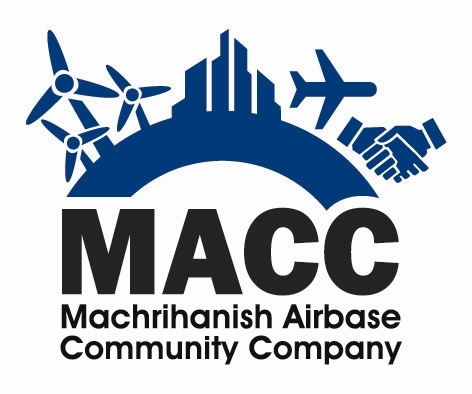 The 2018 Machrihanish Airbase Community Company annual general meeting is on Tuesday the 25th of September and will be held in Campbeltown Town Hall Chambers at 19:00. All members and the general public are encouraged to come along to hear about the performance of the MACC group over the 2017/2018 period. Several special resolutions will be voted on to enable a new lease to be signed with MACC DL the MACC trading company, approve the creation of DSUK, a trading subsidiary for MACC’s spaceport related activites and also change the M&A’s to avoid the need for EGM’s to sign off on long term leases or create new subsidiaries. heritable lease to MACC Developments Ltd.
pre-approve any future disposal of said subsidiary. MACC is also seeking new applicants to become volunteer directors on the MACC Charity board, applications MUST be recieved by Tuesday 18th of September. The draft accounts, membership forms and directors application forms are all available in the downloads section of the website.